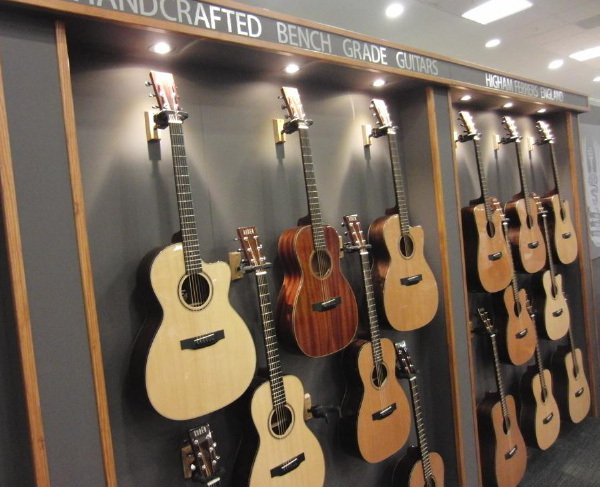 ‘Making a splash’ was the brief for the launch of Auden Guitars at the London Acoustic Guitar Show. Launching any product is an exciting and scary time but at Awemous we have bags of event experience so we were able to help the Auden team through the whole process. From designing and building the stand to creating all the supporting print material and even remembering the little details like bringing a hoover with you on event set up day! 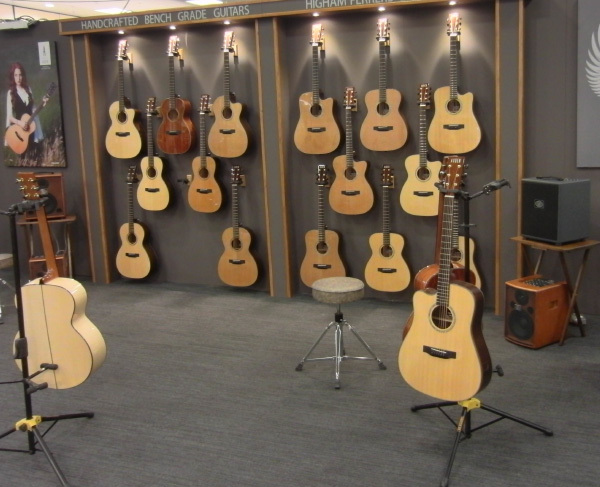 As Auden were new to the industry, the stand needed to make an impact at the show. Using a trussing structure gave us the height and presence to create a mini stage effect for the guitars and meant we could use clever lighting to highlight the new guitars. Plenty of merchandise to give away, a competition and, of course Auden’s superbly designed, hand-built guitars meant a very successful weekend, including the brand’s first sales! 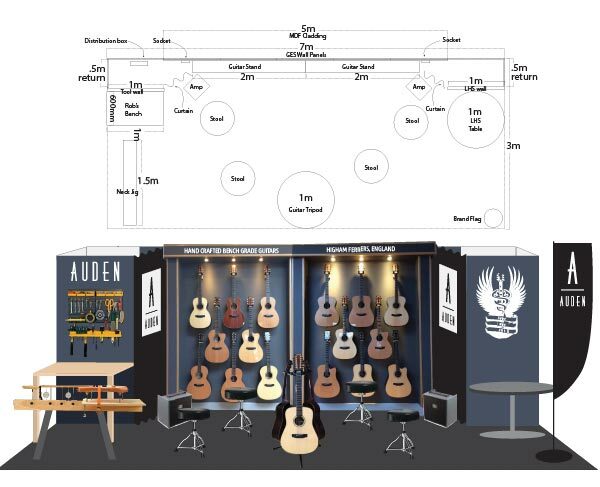 Since this first year working with Auden on their stand for the London Guitar show we’ve helped them every year since taking an increasingly bigger stand and growing footfall, engagement and sales year on year.